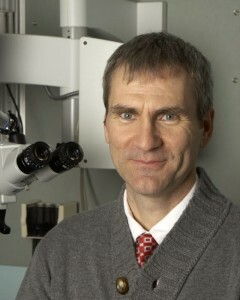 Dr. Westerberg graduated from Queen’s University Faculty of Medicine in 1989. He then completed two years of Residency training in General Surgery before transferring to Vancouver to complete further training in Otolaryngology at the University of British Columbia. After completing a Fellowship in Otology & Neurotology at the California Ear Institute at Stanford University during 1995-96, Dr. Westerberg returned to the University of British Columbia. He subsequently completed a Masters in Health Care and Epidemiology at UBC in May 1999. In addition to a busy clinical practice, Dr. Westerberg contributes to the teaching of medical students and residents, and offers a fellowship in Otology & Neurotology. He is currently Clinical Professor in the Department of Surgery with the University of British Columbia.